If your charity, non-profit or fund-raising group is finding it increasingly difficult to attract donations in these troubled economic times, then you’re not alone. So what would you say to a proven fund-raising idea that works just as well during a recession as during a boom? Did you know that there’s a way to raise significant funds for your cause without asking donors to part with a single penny? All you have to do is organise a foreign coin collection. The good news is that if you collect more than 100kg we’ll add an extra payment of 10% on top! You’ll probably be shocked to discover that according to British Airways, Britain alone hordes foreign coins worth more than £30 million every year, because banks and bureaux de change won’t exchange them. That’s an amazing amount of wealth just waiting to be donated for exchange by your cause or fund. And unless you take action to collect it, most of it will remain where it is for years to come: in drawers, jars and piggy banks waiting to be forgotten. Even among those who intend to take the coins abroad the following year to be spent, in the rush to get to the airport, they’re usually the last thing on the to-do list, and get left behind. But it’s brilliant news for you and your organisation. Because these coins have no real value to their owners, the vast majority of people need no persuading to donate them. That means you can easily and quickly collect a significant sum of money, and put it straight to good use in the community. If you’ve never organised a foreign coin collection before, don’t worry. 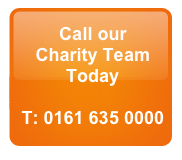 We help first-timers to organise successful collections all the time, and have a dedicated fund-raising team on hand to help charities and groups just like yours. Over the years, we’ve helped hundreds of charities raise thousands of pounds for worthy causes, and as a result, we’re the UK’s premier choice for exchanging foreign coins. Promising a fast and hassle-free service, we only offer the very best exchange rates to our clients, with 100% satisfaction guaranteed. If you don’t like the offer we make, we’ll return your coins at our own expense. For larger collections over 5kg, we also offer free drop-off or collection, meaning you don’t have to fork out for postage or courier services, either. If you’d like to join the growing list of good causes who recommend our friendly and transparent service, get in touch today. I am looking for a way to raise funds for a PTA. Do we need to register before hand or do we collect coins first and then ask to be collected?